Charles Timothy Idahosa is the least qualified person to speak for the Benins. The interview granted VANGUARD Newspapers by the Political Adviser to Comrade Adams Oshiomhole, Edo State Governor, Hon Charles Timothy Idahosa on page 13 of the VANGUARD of Wednesday, 10th September 2014, was very interesting but unfortunate. In the said interview, Mr Idahosa attempted to place the travails of the All Progressives Congress (APC), in Edo State at the door steps of former APC Chieftain, Chief Tom Ikimi while at the same time pretending to be speaking for the Benins. While not attempting to hold brief for Chief Tom Ikimi, Hon Idahosa might want to be reminded that the problems currently plaguing the APC in Edo State are traceable to the dictatorial traits of the Sole Administrator of the party, Comrade Adams Oshiomhole. If Hon. Charles Timothy Idahosa properly read the three page advertorial published on pages 52-54 in the VANGUARD of Wednesday, 27th August 2014, he would have known that nowhere in the said advertorial did Chief Tom Ikimi refer to the ethnicity of Chief John Odigie-Oyegun as one of his reasons for dumping APC. 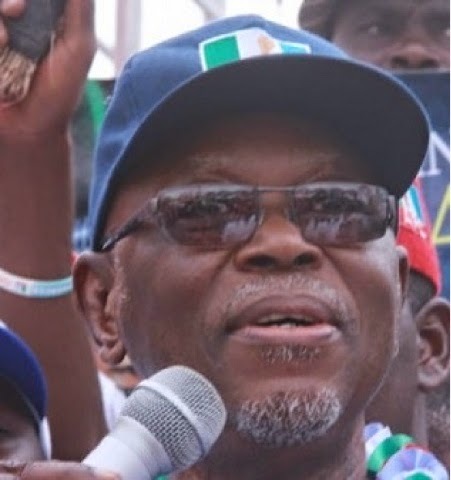 Chief Tom Ikimi has always emphasized that the rigging into office of Oyegun as APC Party Chairman by Asiwaju Bola Tinubu in collusion with some select leaders of the APC was only one of several of the issues which he has well articulated as the reason for withdrawing his membership from the APC. In his reference to Chief Odigie Oyegun he never complained of his ethnicity and in his statement upon his arrival in Benin City recently on Sept 9th, the Chief never referred to Oyegun but only refuted Bola Tinubu's reference of him as the one who betrayed Chief MKO Abiola. Indeed in establishing that he was once National Chairman of NRC and not SDP (Abiola's party) and that it was Dr Hameed Kusamotu who was the NRC National Chairman at the time of that election, not himself, he put the whole misinformation down to Tinubu's memory problem and under the circumstance he was happy to return home to be fully reconciled with his Edo kinsman Chief Tony Anenih. Therefore while Tinubu is neither an Edo man nor a Benin indigene I cannot see the connection with Chief Odigie Oyegun and why Hon. Idahosa is attempting to bring about ethnic sentiments in an argument relating purely to the mismanagement, intrigues and bungling of party affairs. Now for the information of Hon Charles Idahosa's, that is if he pretends not to know, Chief Odigie-Oyegun is the Chairman of APC Nationwide and in Diaspora, not the chairman of Benin APC. APC like PDP draws its membership from all parts of the country irrespective of tribe or religion and the Benins belong to both parties. As such, it is naïve for the political adviser to Comrade Adams Oshiomhole to suggest that Chief Ikimi’s decision to dump APC for PDP is an insult to the Benins and as such, PDP will pay for it come February 2015 as according to him, they will never get any support from the Benins. Is he trying to imply that Chief Odigie-Oyegun’s only qualification for that office is the fact that he is a Benin? What makes Hon. Idahosa believe that he is a proper and qualified person to speak for the Benins. If he is truly convinced that the Benins will not vote for PDP in 2015, let him come down from his Golan height and contest 2015 election into any office under APC and see if he will not fail woefully like he did in 2007. One might want to further ask Hon. Idahosa what his antecedents were during his tenure as Edo State Commissioner for Information from 2003-2004. Did he as a Benin man not remove another Benin man as Managing Director of the Nigerian Observer to make room for a Deltan, an Isoko, to become the Chief Executive Officer of the Organization? What was the offence of the Benin man who was in office for only two and a half months before his removal? According to a letter signed by Adesua Kupolati (Mrs) for Hon. Commissioner, the Benin man was removed for his “flagrant disregard of official instruction”. Up till now, has Hon. Charles Timothy Idahosa told the public what official instruction his fellow Benin man and cousin for that matter “flagrantly disregarded”. Will it not be right to suggest that the real offence of the Benin man cousin of his was that he was perceived as too principled and as such could not be used? Was that not why he was sacrificed for a Deltan, an Isoko man, to take over the headship of an institution belonging to Edo State Government because the Isoko men was ready to play ‘ball’? So why the hypocrisy of the Political Adviser in trying to drum up tribal sentiments when he himself is an embodiment of all a Benin man should not be? Moreover, what popularity rating does he have amongst the Benins to want to speak for them? How many Benin votes can he galvanise for APC, his party in his Airport Road Residential Area or his Uhunmwonde Local Government Area to believe that the Benins will listen to him? 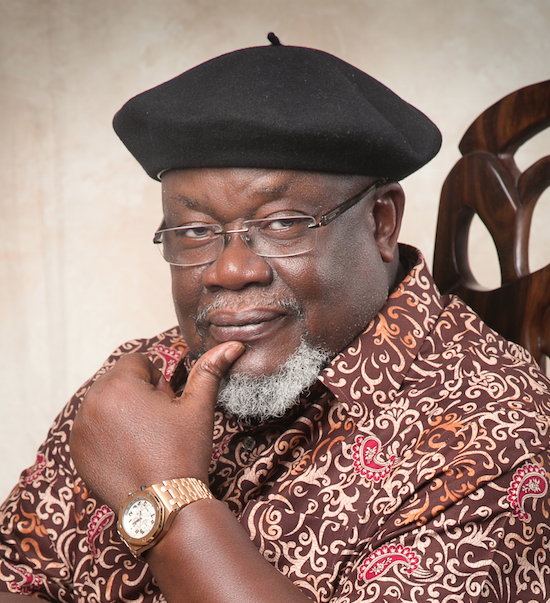 I am amused that Hon Idahosa attempted to demonize Chief Tom Ikimi for dumping APC for PDP. I wonder when it has become a crime to change political parties in present day Nigerian politics. I see a picture of a guilty person pointing one finger at another person while the other four fingers are pointed at him. Or else, what moral right has a man who has changed parties so many times himself, APP to PDP to AC to DPP to ACN and now APC, to castigate someone else for doing something that he has severally indulged in. In actual fact, majority of us as politicians are guilty of the same offence. 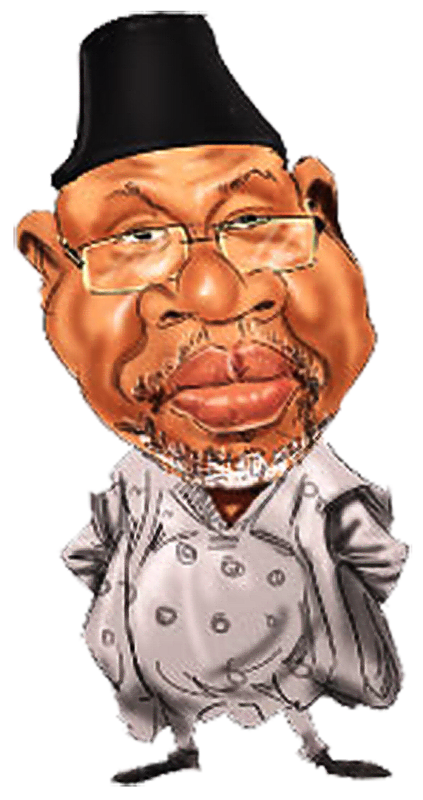 Chief Tom Ikimi admits that in 2007, as leader of the AC he preferred Comrade Adams Oshiomhole for the Party's Governorship candidate rather than Charles Idahosa or a number of others who wanted the party's ticket at the time. He believes he was right to make that "imposition" to reject the candidature of Charles Idahosa, particularly on the basis of his rather weak qualification, one who possesses just a certificate in journalism, not even a diploma. That notwithstanding, he recalls that when he and others successfully set up the APC in 2007, Hon. Charles Idahosa was the very first person he nominated from Edo State to serve in a National Committee - Publicity Committee - to work with Alhaji Lai Mohammed and others. Alhaji Lai Mohammed who has been loyal to his sponsors is still there heading the APC party publicity machine. Hon Charles Timothy Idahosa's unbridled reckless ambition drove him to try to contest the Edo State Governorship under the then Action Congress, AC, which he lost to Comrade Adams Aliyu (or is it Aliu) Oshiomhole. In anger, he dumped the Action Congress for the Democratic Peoples Party, DPP, and became DPP’s governorship candidate, an election he lost woefully even in his Uhunmwonde Local Government Area. Why does he now think it was right of him to dump AC in 2007 when he felt he was a victim of injustice during the party’s primaries and wrong for the Igueben High Chief to dump APC when he perceives injustice? Is it a case of what was right for Hon Idahosa in 2007 being wrong for Chief Ikimi in 2014? Also, in 2007, when leaders of AC (as it then was) met in the Benin residence of the same Chief Ikimi and the Deputy Governorship slot was offered to Hon Charles Timothy Idahosa to pacify him before his defection to DPP, he turned down the offer. In his words then, “I cannot serve under that monkey”. It is ironic that the same man is today not only serving under the same man he once described as "that monkey” but is also licking the dust from the boots worn by the same “Monkey” (his words, not mine). Does this portray a man with principles and high self-esteem? Hon. Charles Timothy Idahosa referrd to Chief Ikimi as a one time National Chairman of the defunct National Republican Convention, NRC under a military regime. While he should note that Chief Ikimi was properly elected National Chairman and not appointed , he needs to be reminded that he, Idahosa, became Chairman of Uhunmwonde Local Government under another military regime, that of the late General Sanni Abacha. A case of a kettle calling a pot black. Moreover, he would have lost that Zero-party election in 1996 to his opponent, Hon. 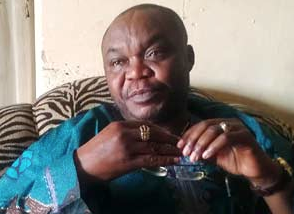 Isaiah Osifo but for the timely intervention of his ‘bosom’ friend, Chief Lucky Igbinedion. The same Chief Lucky Igbinedion as Governor of Edo State made him who he is today. Under Chief Lucky igbinedion, he was at various times appointed Director of Publicity and Protocol, DPP, Government House, Commissioner for Information and Orientation and board member of NTA as well as being recipient of many contract awards. Regrettably, the Special Adviser to Edo State Sole Administrator today spends all his time and energy demonizing and vilifying Chief Lucky Igbinedion and his father, the great Esama of Benin His typical hallmark. For a man who has never spared any moment to tell the world how democratic APC is, is it not strange for him to claim that Chief Tom Ikimi had the sole prerogative to determine who got what position in APC. Is it not true that Hon. Charles Timothy Idahosa directed a former State woman leader of APC to go and beg Chief Ikimi so as to be retained during the discredited State Congress of APC recently held in Benin? Is the culture of begging for position his concept of the commonly accepted norms of democracy? The only known political Advise Hon Charles Idahosa is recorded to have offered to Governor Oshiomhole is towards the creation of a faction parallel to the main stream APC in the state known as the ESM - Edo State Movement which he presided over. The ESM to which, among others, the former Woman Leader of the party belongs, turned out to be a cult like witch hunting organization, heavily funded from official sources, that was not only utilized to manipulate the disastrous congresses but operated as the instrument of vicious attack on critical party members and became the vehicle that finally destroyed the party in Edo State. And it is also on record that before Chief John Odigie-Oyegun emerged as the National Chairman of APC, Hon. Timothy Idahosa was in the forefront of those insulting the former Edo State Governor as a man of no substance and even encouraged Edo South APC members to boycott meetings called by Chief Odigie-Oyegun in his Benin Residence describing him as unfit to lead Edo South APC just as his present benefactor, the Comrade Governor severely insulted the former Governor (a Benin man). What has now happened to change his bias perception of Chief Odigie-Oyegun? Was it not the same Idahosa who moved the motion in APC State Secretariat along Airport Road, Benin City (the seven and a half kilometre span of road recently expanded by the Comrade Governor at a scandalous cost of over fourteen billion naira) adopting Chief Ikimi as Edo State Sole Candidate for APC National Chairmanship position even when he knew Chief Odigie-Oyegun, a Benin man was also in the race? So much for a self-acclaimed and self-appointed man fighting the cause of the Benins. Chief Tom Ikimi's return to the PDP is welcomed by the majority of Edo people cutting across APC and PDP members and to correct the misrepresentations made by Hon Charles Idahosa in his mischievous statement, on the the 9th of September when Chief Tom Ikimi returned to Benin City, the mammoth crowd that received him at the airport and enthusiastically escorted him to his residence was led by Chief Lucky Imasuen, former Deputy Governor of Edo State and a Chieftain of the PDP. Some prominent members of Adams Oshiomhole's government even resigned their appointments on that day to receive the Oduma. My dear cousin, Hon. Charles Timothy Idahosa (aka Touch) is fast acquiring notoriety as a child of Any Government In Power, AGIP, from the regimes of Chief Lucky Igbinadion to that of Prof. Osariemen Osunbor and now that of Comrade Adams Oshiomole. Immediately, Prof. Osariemen Osunbor was sworn in as Edo State Governor, Hon. Idahosa in his characteristic manner moved quickly not only to congratulate him but also got the Professor to revalidate the secretariat building contract awarded to him during Chief Lucky Igbinedion’s tenure as well as paying his severance allowance as a former commissioner. Despite the huge payment he is alleged to have received from the administrations of both Prof Osunbor and Comrade Adams Oshiomole, the project till date is yet to see the light of day. I have no doubt in my mind after the Comrade Governor’s sun as the Sole Administrator of Edo state would have set in 2016, his Special Adviser in his usual trait would be in the forefront of those vilifying the Comrade like he did to Igbinedion and Osunbor. What manner of man is our Special Adviser whose only viable and visible qualification to political offices are his being the son of the late Akakasiaka (not a known title) of Ehor and his ingenuity at running down people including his benefactors. Finally, let me remind Brother Touch (as I reminded his boss and benefactor in an article “THE DECEPTIVE SONG OF AN ELECTED DICTATOR” I wrote sometime in 2012) of the warning of the great philosopher, Alexander Pope, on attitude to history by homo sapiens when he said: “Those who fail to listen to the lesson of history will sooner or later crash tragically to the dust and be sniffed by the dogs of history”. I pray he does not slide slowing towards the tragic crash to the dust of history like his benefactor, the Comrade is gradually doing. I cannot end this piece without also once again remembering with nostalgia two of my favourite novels written by the legendary James Hardly Chase: GOLDFISH HAS NO HIDING PLACE and THE WAY THE COOKIE CRUMBLES as well as Jimmy Cliff’s hit song, THE HARDER THEY COME, THE HARDER THEY FALL. (Hon Jesuorobo is a Journalist and Public Affairs Commentator based in Benin City. 08035780634/ 08023345018). It will interest you all to note that this miscreant attended Eghosa Grammar school and failed to graduate in 1970 but was finally pushed out of the system in 1971 with Eight- F9s and One- P8. He was later salvaged in artisanship of photography which served as a means of sustenance before his newly found love of political thuggery. When next questionable characters make noise, endeavor to investigate their credibility. They usually reveal themselves through their unfounded accusations. He can always prove me wrong by presenting a scanned copy of his credentials from the above named institution within the period if I'm lying. I've got mmy facts right, the burden of proof is his.